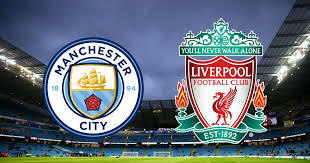 Liverpool welcome Manchester City in first leg of an all-English Champions League quarter-final tie at Anfield on Wednesday April 4. Both teams now face their toughest tests in Europe this season, as they scoring a combined 10 goals against Porto and Basel in last-16 ties . Today clash is the first leg play of this all-England Champions League tie,so the two English outfits will be looking to repeat that feat to set one foot into the semi-final. Liverpool are looking to reach the Champions League semi-finals for the first time in a decade, as they are the only team to beat City in the Premier League this season, a remarkable 4-3 victory in January. Liverpool and Manchester City are among the most prolific scorers in this season's competition, amassing 47 goals between them. Liverpool XI: Karius; Alexander-Arnold, Van Dijk, Lovren, Robertson; Henderson, Oxlade-Chamberlain, Wijnaldum; Salah, Mane, Firmino. Man City XI: Ederson; Walker, Kompany, Otamendi, Danilo; Fernandinho, De Bruyne, Sterling, D. Silva, Sane; Jesus. No Comment to " Liverpool vs Manchester City:Live stream info "